I always think that A/W is my favourite half of the year, until Spring arrives. What's better than the crisp air, warming sunshine and beautiful dainty flowers appearing everywhere? Unable to wait before cracking out the pinks and pastel-tones, my berry lipsticks and navy nail polishes have already been shunned to the back of my collection. Soft dewy makeup is what I'm currently loving and my March favourites include some products that help to create that fresh glow that everyone's after. 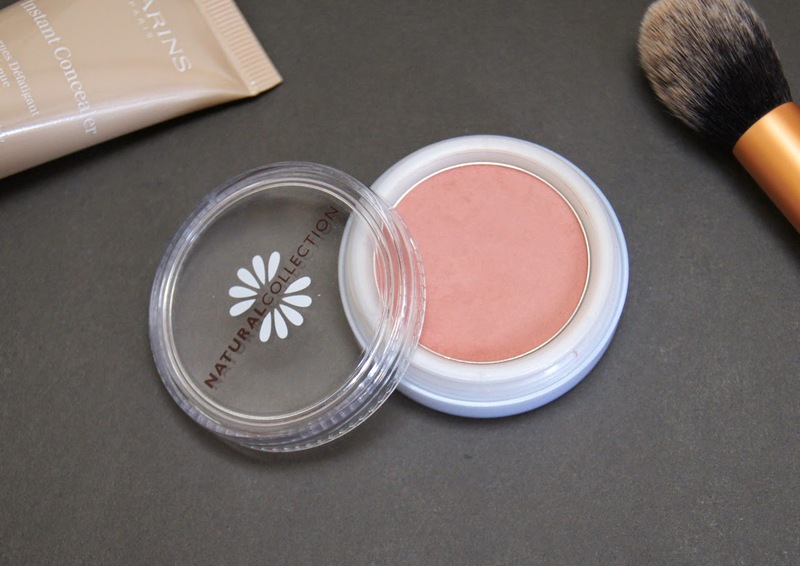 Natural Collection isn't a brand I've paid much attention to since my early teens, but I recently thought I'd go on the hunt for some bargains and picked up the Natural Collection Peach Melba Blush. A matte peachy-pink, it leaves the cheeks with a natural, rosy hint, which is perfect for the upcoming months. Although it seems quite sheer and dusty in texture, the colour actually adheres to the skin well and can be built quickly. There's nothing mind-blowing about the formula, it's just a nice, standard blush. At just £1.99, it's an absolute steal and definitely worth buying, especially if you're new to makeup or on a budget. 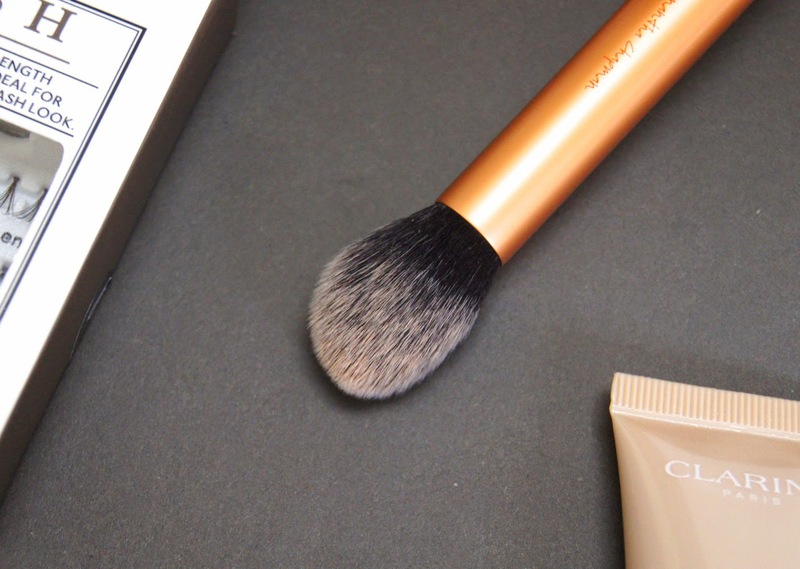 If you're a regular reader in these parts, then you may have already seen my gushing review of the Clarins Instant Concealer. Due to it being targeted at the eyes, I thought it might be a purchase I'd regret, as I usually use a multi-tasking concealer. How wrong I was! Honestly, this is the only under-eye concealer that doesn't crease or exaggerate the faint lines underneath my eyes, whether I set it with powder or not. Instantly, the incredible, brightening effect wakes the eyes up and, being so long-wearing, it stays looking flawless all day. It's not ideal for camouflaging imperfections on the face, but if you struggle with dark shadows, then this is a miracle in a tube! At £21.50, it's not cheap, but the formula is so concentrated that you need the smallest drop per application. When it comes to my hair, I'm pretty low-maintenance. A little slick of oil and a spritz of leave-in-conditioner is usually all I use before blow-drying and styling. Only when I'm doing something special will I bother with texturising sprays or volumising mousses. 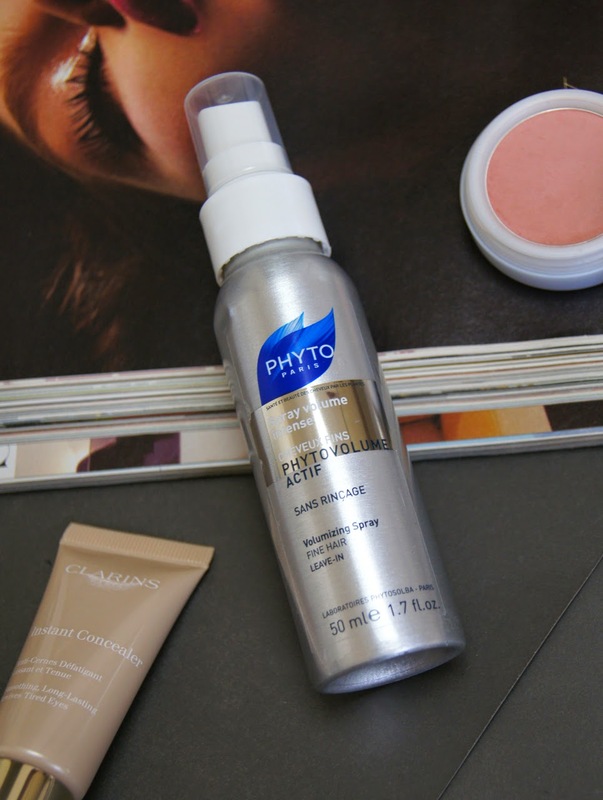 But, since trialling a sample of the Phyto Volumizing Spray, it's made a regular appearance in my routine. 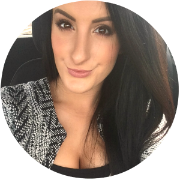 From my experience, most volume products work initially, but after an hour or so, my hair goes straight back to being flat and lifeless. Or, they leave so much sticky gunk in my roots, that I feel like I'm wearing a hard-hat made of cement. Phyto have found the perfect balance with their heat-activated formula, though. A liberal mist all over your barnet, focused mostly at the roots, gives hair a crazy amount of volume and lift (especially if you blow-dry your hair upside down, which is my favourite trick). It can make the hair feel a little dry, but there's no tacky residue left behind and hair doesn't feel weighed down. Thickening the individual strands of hair, the hold lasts all day and it continues to make a difference even on second-day hair. My 50ml bottle has lasted for months now, so as the 125ml bottle costs £17.50, it's a great value product. Now, I know the recent release of the Real Techniques Bold Metals Collection sent shockwaves through the beauty world, but I just wasn't interested. I've only heard good things about the line, but honestly, if I'm going to splurge and spend upwards of £20 on a single brush, I'd just prefer to turn to Bobbi Brown or Nars. But, I'll still continue to repurchase the original brushes and my current favourite, is the Contour Brush from the Real Techniques Core Collection. Surprisingly, I actually hate it for contouring, as it's too small for my chubby cheeks, but for blending concealer it's my number one. Larger than regular, concealer brushes, it gets the job done in half the time and, being fluffy, it buffs the product on to the skin seamlessly. The tapered, taclon bristles allow you to reach every contour of the face and my brush hasn't shed a single hair in the couple of years I've had it. Unfortunately, the Contour Brush is only available as part of the Core Collection, which is £21.99. But, in that kit you also get the Buffing Brush, which is also amazing and makes it a worthwhile purchase. Wearing false lashes during the day is my kind of hell. Not only because I can't be bothered with the extra work to get ready in the morning, but the idea of the irritating strip pinging up at the ends and having to be fixed throughout the day, is something I'd rather avoid. But, during March I was quite busy and had more special, day-time occasions to make an extra effort for. To define my eyes, without looking like I was heading for a night on the tiles, I turned to individual lashes. Now, I haven't tried any individuals other than the Eylure Pro Lash Individuals, but I'm addicted to wearing them. In one pack you get a combination of 17 short, medium and long lashes, which range from fine to full in terms of volume. Easy to apply, you simply dip the knot of the lash in the glue and place the it on top of your natural ones (the glue isn't designed to stick to skin, like with regular, strip lashes). Rather than looking obviously false, your real lashes are given a subtle boost of length and volume that is virtually undetectable, depending on how many you apply. A box costs £5.29, but the lashes can be worn for a few days and I personally re-use mine, if they're still in a good condition. I love that Natural Collection blush, I've been buying it for years now! 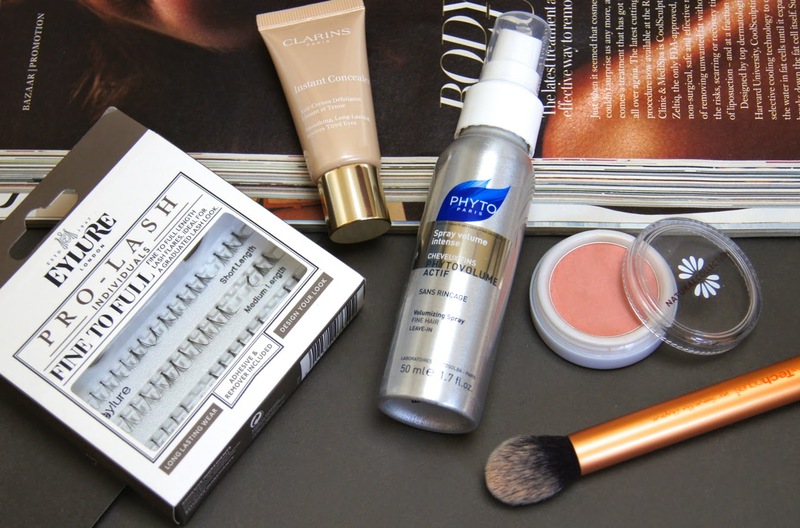 All these beauty products, make me so confused, but know that they are also really amazing! You are such a star girl!! Shine Bright! This is all so foreign to me, but it is fun to read cause you have so much passion and knowledge to share! I must say the biggest thing i learned is that women change their makeup based on the weather and the seasons! Never knew that! I guess maybe i knew they changed colors, but overall product too. Hope you had a great easter! I really need to try the Clarins concealer! Every single concealer I've used creases and accentuates the fine lines. 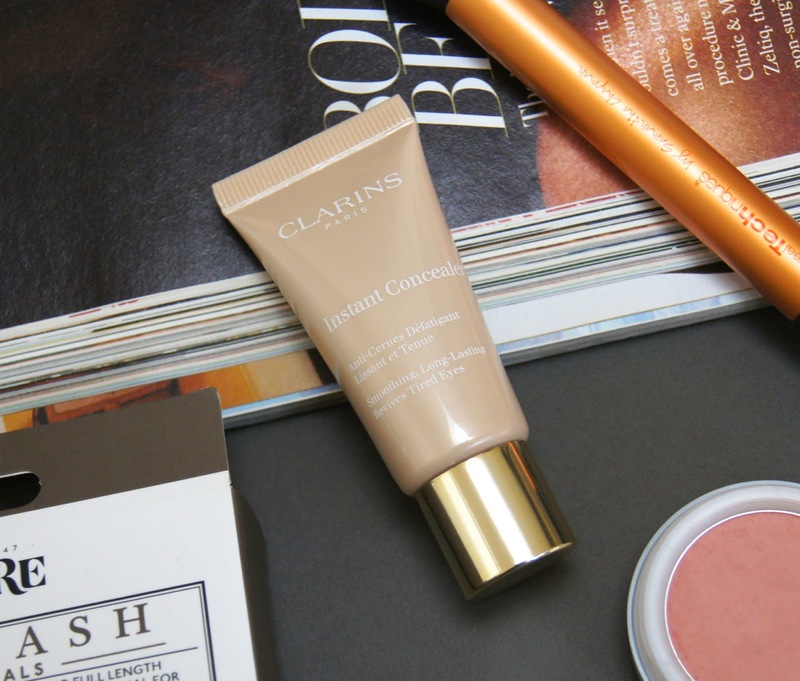 I really want to try the Clarins concealer - im in desperate need of a new one! Ive been loooooving the mac blush in Fleur Power over march/start of April! I'm looking for a new blusher for Spring and I haven't thought about Natural Collection, I really like the shade of this one. 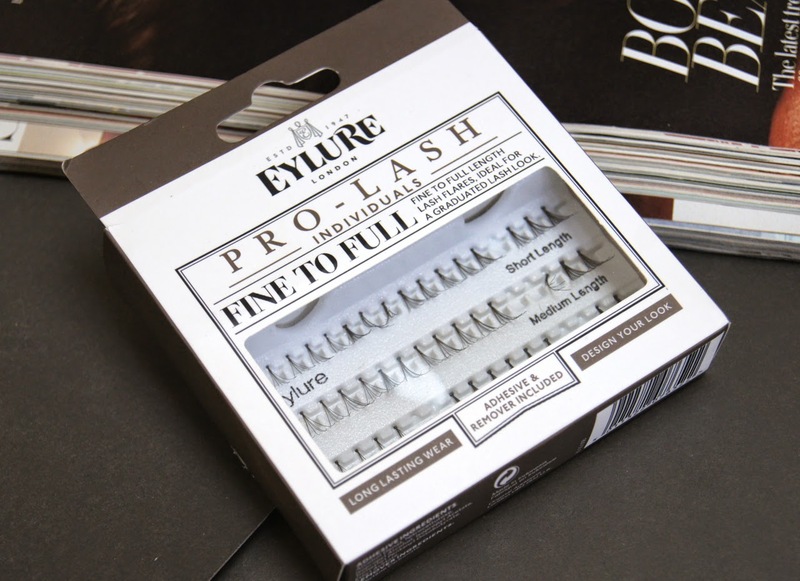 I love eylure lashes but I have never tried the individual ones because They look so tricky to apply are they?